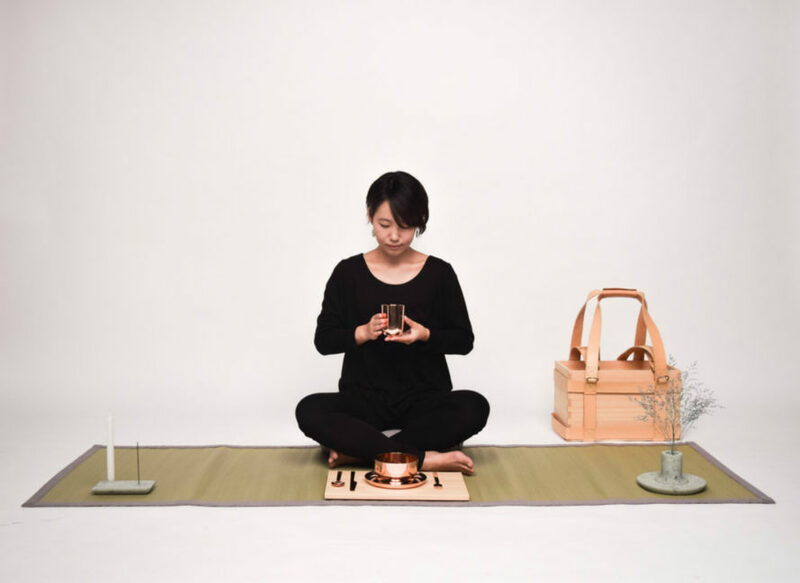 Living a nomadic lifestyle just got a little more Zen thanks to the Japanese-inspired Nomad Life Kit. Mexican designer Geraldo Osio has created a minimalist wooden basket that carries a handful of basic necessities inside so travelers can have a sense of a home anywhere they go. Inside the box, nomads will find items that age as they use them. The leather straps on the box will soften and darken over time and the copper tableware set found on the inside will patina. The stone candle and incense holder are included in the set to offer the owner a familiar sense of smell and light wherever they may go. And if they ever find themselves without a place to rest or sleep, a simple straw mat and cushion will provide comfort for a quick rest or overnight stay. Living a nomadic lifestyle just got a little easier thanks to Mexican designer Geraldo Osio. 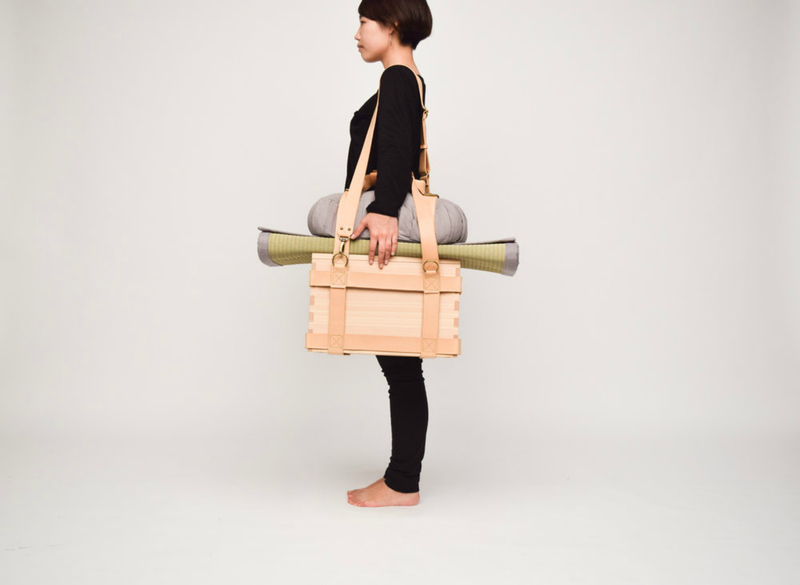 Inspired by Japanese culture, Osio's Nomad Life Kit lets wanderers carry a handful of basic necessities inside a small wooden box, in order to have an immediate sense of home anywhere they go. All of the items in the kit are all manufactured by Japanese craftsmen and made of natural materials. Although the tiny wooden box may seem like a simple picnic basket, the idea behind the design is much more sentimental. Osio wanted to provide wanderers with a true sense of belonging while on the road so he created the nomad kit. As the designer explains on his website, "This kind of lifestyle creates a tendency of losing a sense of belonging to a place." Inside the box, nomads will find items that age as they use them. The leather straps on the box will soften and darken over time and the copper tableware set found on the inside will patina. The stone candle and incense holder are included in the set to offer the owner a familiar sense of smell and light wherever they may go. If nomads ever find themselves without a place to rest or sleep, a simple straw mat and cushion will provide comfort for a quick rest or overnight stay.